I'm really trying my best to be consistent here so I apologize for going over my weekly deadline that I've set for myself. 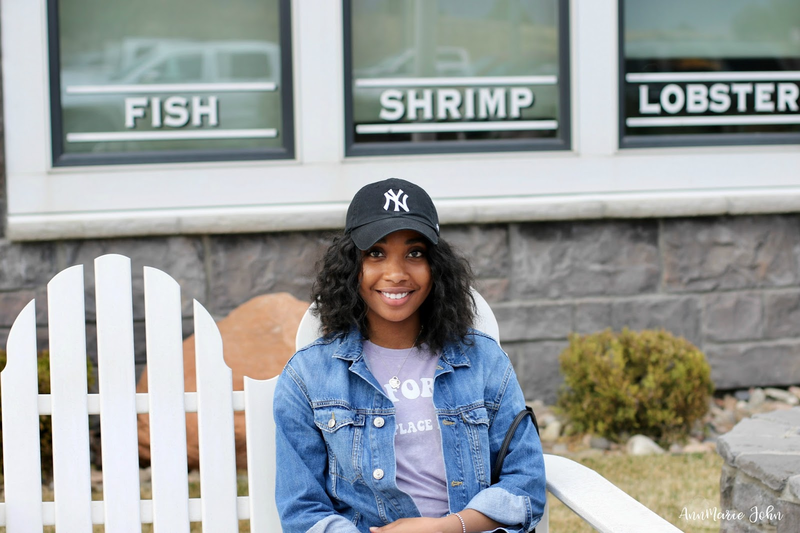 However, I'm back with a post I don't think I've ever published before. 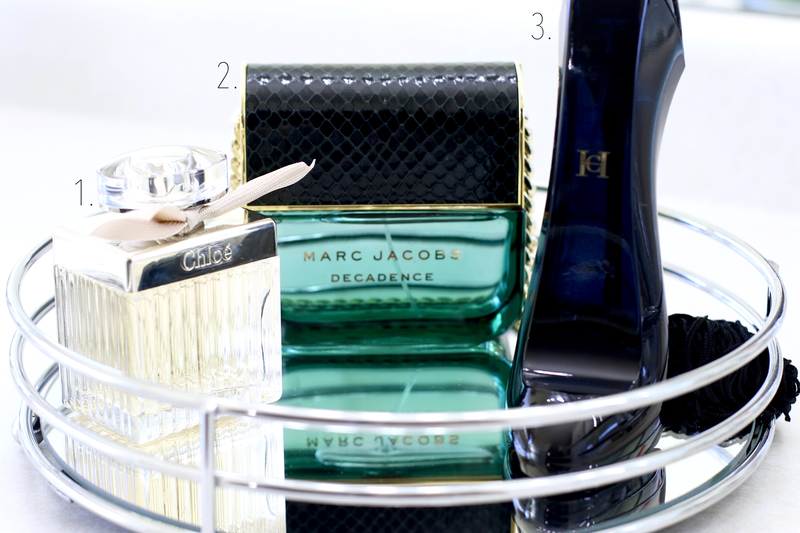 Today I wanted to share with you guys my go-to fragrances of the moment. I know I tend to do a lot more Sephora themed favorites but how about I do a favorites of the month post (example: January Favorites) at the end of each month to catch you guys up with some likes and even a couple of dislikes in between? This perfume was influenced on me by one of my favorite vloggers that I watch religiously on YouTube. It's a classic and I figured I couldn't go wrong with the investment. It's a floral fragrance but it sways more to the powdery side which generally is not a go-to for me but Chloé has made a lasting impression. It's one I'd recommend for a date. Decadence has been a long time favorite for some time now. I fell in love with it around the time it was first released and couldn't get enough of it. It's definitely on the warmer floral side, a little musky if you ask me and I think that's why I can't get enough of it because it's not a light fragrance. It also lasts nearly all day, I can spray it in the morning and still smell a whiff of it before I head to bed. My all time Marc Jacobs fragrance for the win for sure. Good Girl is my absolute favorite right now. I was so happy to have finally had the chance to smell and own this. It was always listed as an "online only" option on Sephora so I never had the chance to smell this in stores so I kinda just went with it and got it anyway having no clue if I would come to love it or not. But I'm so happy that it's in my collection and I'm going to be a little hurt when I finish it. Also can we talk about the packaging? It's in the shape of a high heeled shoe which looks really cool but sometimes makes it difficult spraying because I'm afraid that if I clutch it too hard I'll break the heel. However the smell, which is on the warmer floral side is to die for. I try to avoid wearing this everyday but it's THAT good. I hope you guys enjoyed these three fragrances! Definitely stop by your local Sephora and grab a sample if you're curious. I'm always interested in some new ones my self so let me know some of your faves! 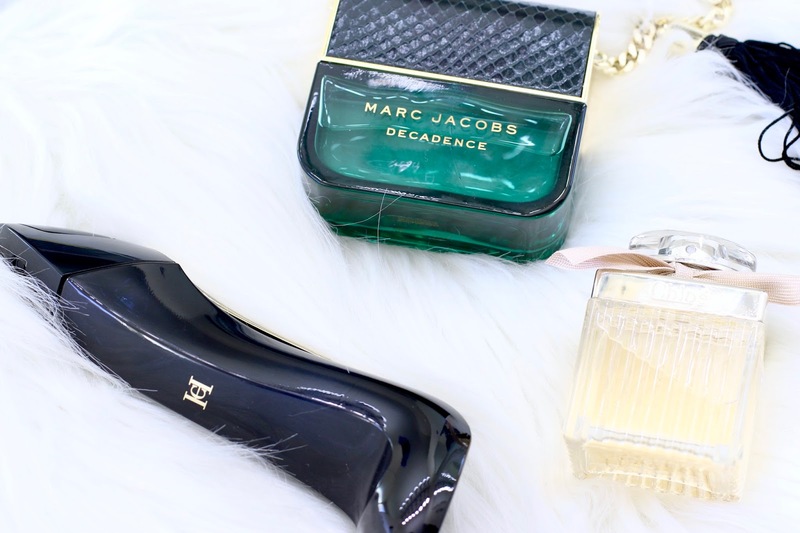 While I own all 3 Marc Jacobs Decadence, I have to say that the original Decadence is my least favorite. Divine is my go-to. Good Girl is one of my faves as well, but Chloe comes in second to Chloe Love Story. Another that I just can't live without is Dolce & Gabbana The One. You've got to give that one a try. I tend to stick and fall in love with the originals but I think I'll be looking out for those others too!